The Iraqi Jewish Archive, as it became known, is both proud and pitiful. To whom do antiquities belong? Are they the property of modern states, current proprietors of the real estate where they were created, however many centuries or millennia ago? Do they belong to the descendants of those who created them, to the extent these can be identified? Or are they somehow the heritage of “all mankind”? For Jews, these questions took on flesh in 2003 in the flooded basement of a building belonging to the Iraqi secret police. There, American soldiers searching for clues to Saddam Hussein’s weapons of mass destruction came upon an even stranger sight: a waterlogged trove that had once belonged to Iraq’s Jewish community. The Iraqi Jewish Archive, as it became known, is both proud and pitiful. 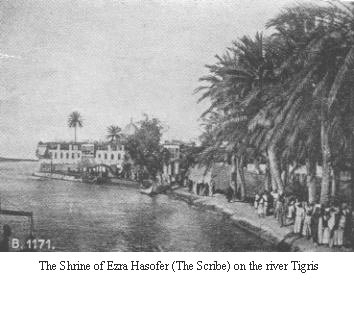 The earliest item dates to 1568, but most of the other materials are from the late-19th and early-20th centuries: Judeo-Arabic manuscripts, Torah scrolls and mantles, children’s primers, family photographs, letters, all seized from Iraq’s long-banished Jews. Through a confluence of initiatives involving the U.S. military, the Iraqi opposition, the Coalition Provisional Authority, and the Iraqi State Board of Antiquities and Heritage, the trove was transported to the U.S. where it was freeze-dried, conserved, and photographed. It remains in the charge of the National Archives and Records Administration and the Center for Jewish History. Although basic cataloging has been done, more extensive preservation and digitization await funding and a resolution of the archive’s fate. Representatives of the Iraqi Jewish community in Israel have staked a claim to the trove. But so, for its part, has Iraq itself, whose new Minister of Tourism and Antiquities has named the return of the archive as a top priority. After all, countless items looted from Iraq’s museums and archaeological sites, from ancient tablets to Saddam’s gold plated AK-47, have already been restored. Why not the Iraqi Jewish Archive? Indeed, Western democracies have lately become accustomed to such demands. The Elgin Marbles, their fate still undecided, are the most famous example, but countless objects have already been repatriated to countries ranging from Peru to China, sometimes before requests were entered. Even outright gifts, like Cleopatra’s Needle in New York’s Central Park, are on the list of Zahi Hawass, the Egyptian pharaoh of archaeology who travels the world demanding that every object ever created in Egypt be returned or otherwise made subject to his personal decision. Scholars and intellectuals have largely acceded to these demands out of post-colonial guilt and fear of losing access to excavation permits. “Retentionists,” who wish to keep antiquities in the West, have been accused of greed; having stolen other peoples’ legacies, they now defy international law and public sentiment. To this one might respond that the demands themselves often seem more about exercising political power in the present than about preserving the past—and in any case they are of dubious relevance to the Iraqi Jewish Archive. What is true is that the Jewish community in what is now Iraq is of ancient and distinguished lineage—more ancient than any other outside the Holy Land. For more than 2,500 years, from the Assyrian conquest of Israel and then the Babylonian conquest of Judah, Jews resided along the banks of the Tigris and Euphrates as an integral minority, and by the 20th century had long learned to accommodate themselves to new rulers and new empires washing back and forth. But in the race unleashed by the British after their conquest of the territory, Jews along with Christians, Kurds, and other minorities were soon crushed by Muslim supremacism, now cloaked in the name of Iraqi nationalism. The process of dispossessing Jews from the new state of Iraq began almost immediately with the dismissal of Jewish officials in 1934 and 1936, unofficially complemented by bombings of Jewish establishments in 1936 and 1938 and culminating in the Farhud massacre of June 1941. The official process intensified with the criminalization of Zionism in 1948. A year later, Prime Minister Nuri as-Said was describing to foreign diplomats a plan to expel Iraq’s Jews. The climax occurred with a 1950 bill on de-naturalization, confiscating the property of Jews who emigrated, and the bombing of Baghdad’s Masuda Shemtob Synagogue in January 1951. By March 1951, 120,000 Jews had left Iraq, being permitted to take with them no more than 50 pounds sterling per adult and 20 per child. In 1952, the gates were closed. In 1963, Jews were forbidden to sell property. After the Six-Day war of 1967, Jews were dismissed from jobs, their property seized, bank accounts frozen, and telephones disconnected. Jews were hanged as alleged spies in 1968 and 1969. By the 1970s, the few remaining Jews were permitted to leave after being pressured to turn over title to property. When the Americans arrived in 2003, perhaps two or three dozen remained. By what right should a society that barely tolerated and then expelled its Jews, and that loathes and forbids the presence of Jews now, be given 27 cases of Jewish documents and books? Saad Eskander, the director of the Iraq National Library and Archives, has stated one rationale: “Iraqis must know that we are a diverse people, with different traditions, different religions, and we need to accept this diversity … [and] that Baghdad was always multiethnic.” A glance at the headlines from Iraq suggests that such noble aspirations are increasingly belied by reality. Besides, should the materials be returned to Iraq, what assurances are there that anyone, much less Jews, will have access to them? What assurances that the materials will be preserved at all? Countless artifacts from Israeli excavations in Sinai were returned to Egypt as part of the 1979 peace agreement. No one knows their fate, but rumors have long circulated that they were simply dumped alongside the road. Similar proposals have been made regarding artifacts, even demonstrably Jewish ones, excavated in the West Bank, which Israel is being urged to turn over to the Palestinian Authority as a confidence-building measure. Intellectuals, who in other settings deplore “politicization” of the past, are usually at the forefront of such seemingly therapeutic schemes. Free societies, with their competing interests and concerns, do a mixed but on the whole creditable job of maintaining their pasts. Unfree societies, thanks to corruption and racism, typically do a very poor job, and when they do make an effort, as in Iraq under Saddam, it is in furtherance of the regime’s dictatorial and repressive aims. International refugee law provides for “non-refoulment”: that is, refugees must not be returned to a situation where they would be put in jeopardy. Might a similar principle be considered for antiquities? Could it be asserted that unfree states forfeit their claims to antiquities, particularly those originating with minorities they have expunged or exterminated, and against whom they discriminate in the present? The legal dimensions remain to be explored; in the meantime, like many of the Jews who created it, the Iraqi Jewish Archive lingers in exile—-so far, thankfully, in a free country. Reprinted from Jewish Ideas Daily, now Mosaic. 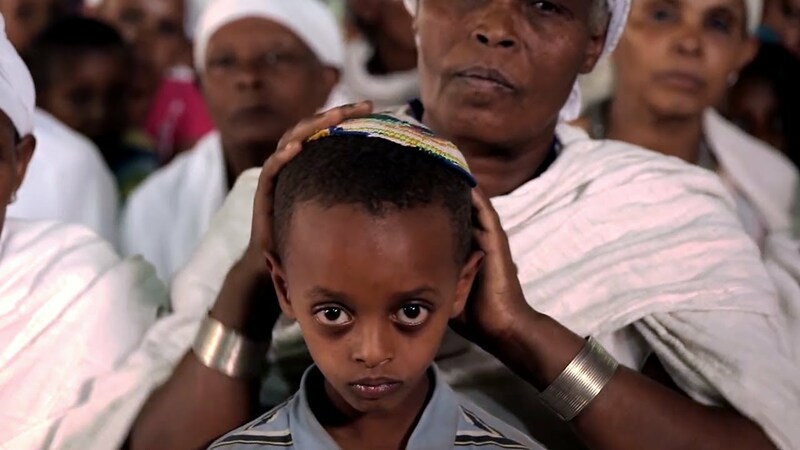 The Jewish world is more ethnically and racially diverse than many people realize. This Sephardic language, also known as Judeo-Spanish, has a rich history and is more accessible than you think.